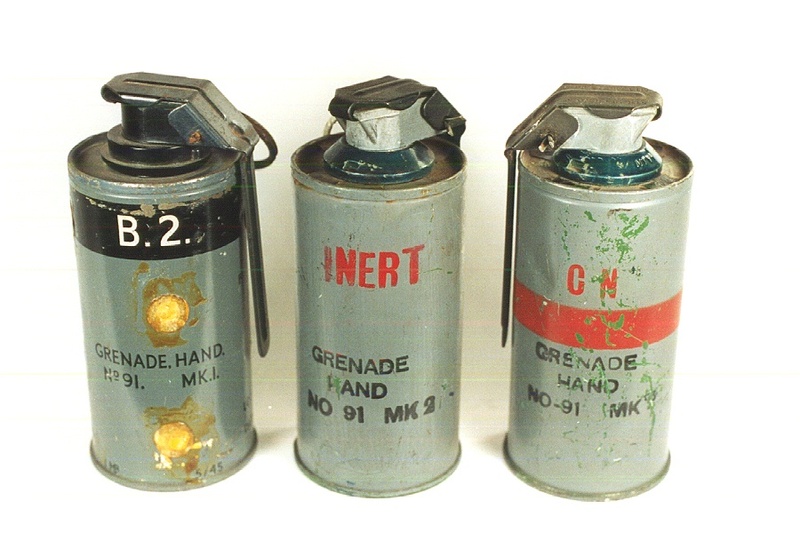 Lachrymatory grenade in a similar style as the No.83Mk2 made of tin plate. It was fitted with Striker Mechanism No.3Mk1/detonator No.102Mk1 with a 1second delay. This type was in use between 1948 and 1958. The Mk2 version differed mainly in filling and igniting system. Still fitted with the same mechanism, it was now used with "igniter grenade no1mk1". Gas was emitted for some 25seconds.